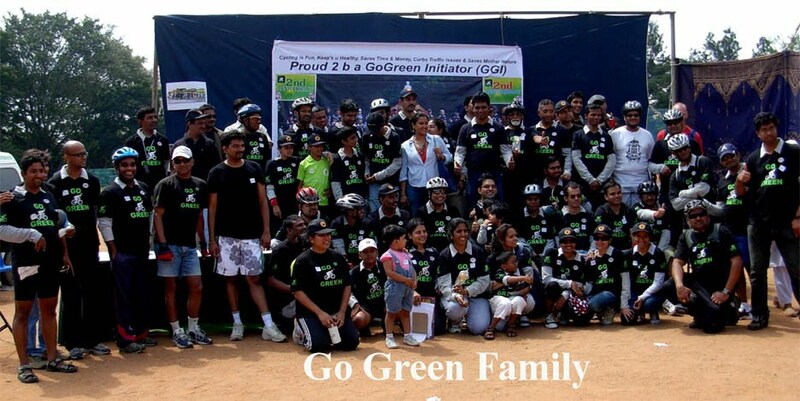 GoGreen-2nd Anniversary - GGI-Group size: 4000+ Professionals, Increasing on day to day basis, Come & join us 2 serve Mother Nature. 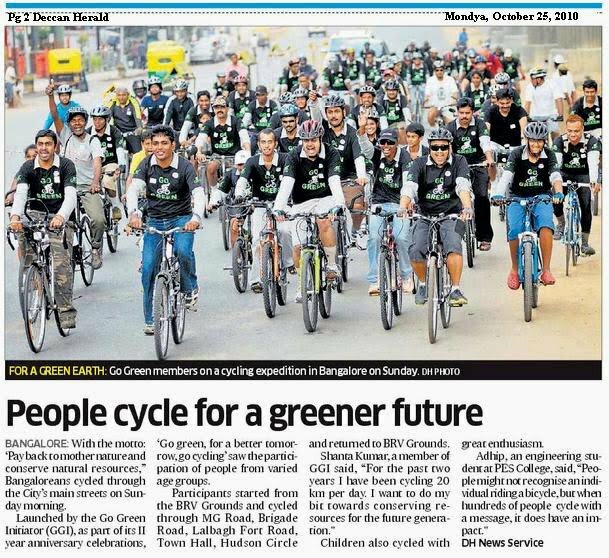 Totally there were 103 GGI members consisting of 13 Kids, 12 women, & 78 Men who participated in celebrating our Go Green Anniversary & Go Green Mega Campaign Ride. 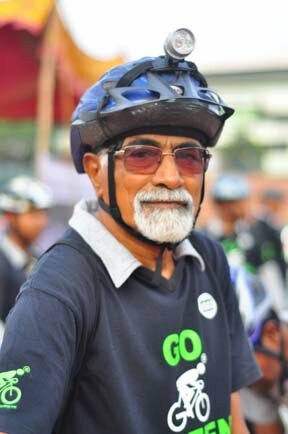 The Ride kick started @ 8:30am, Following was the route followed. BRV Grounds – Left towards Cubbon Rd – Cubbon Park – MG Rd – Brigade Rd – Brigade Towers – Richmond Traff signal – Richmond town Rd– General Thimminannh Rd -Rajaram Mohan Roy rd – Kasturabha Rd – Jewels de paragon – MG Road – BRV grounds. For the first time in my cycling history I saw cops stopping the ongoing traffic and cleared all signals throughout the ride. Their were traffic police who were escorting along the ride. 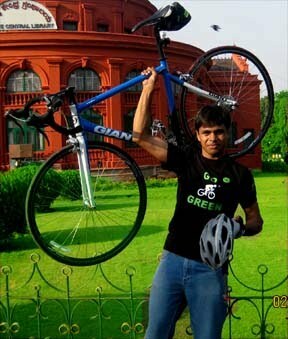 It was really amazing experience that I always suggest as cyclist one should always experience. We have crossed all signals and end our ride within 45 minutes. Once we came back from the ride, Hot break fast was ready & waiting for us :), Iddly, Kara bath & Kesri Bath..
We played couple of group games enjoyed a lot & really had good fun, Since the sun was coming up & most of them wanted to return back home hence decided to go for our GGI awarding ceremony. 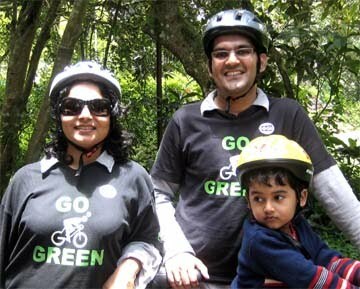 Snap shot's from our 2nd Anniversary event & Go Green Mega Campaign Ride. 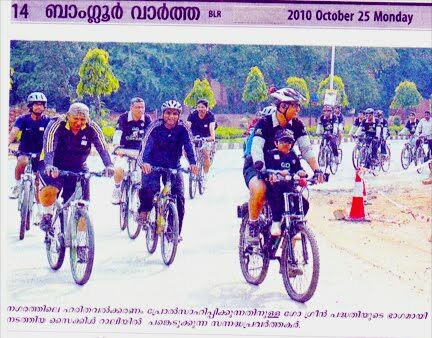 Police Department : For giving us permission and also helped us in clearing & holding the traffic and made us to feel pride to cycle on the busy streets of B'lore. 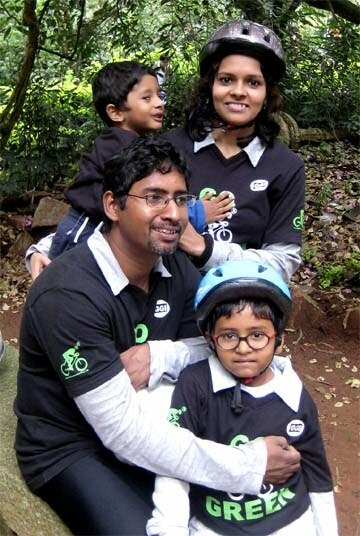 Mr. Amzad, Mr. Sathishkumar, Mr. Shiva Kumar, Mr. Kumar Swammy. All the Media & Press who came and covered our event. Banner Prints : Mr. Vittal of Replica Documents & Prints. Last but not the least : The whole of GGI & BBC participants without which this event wouldn't have been successful.